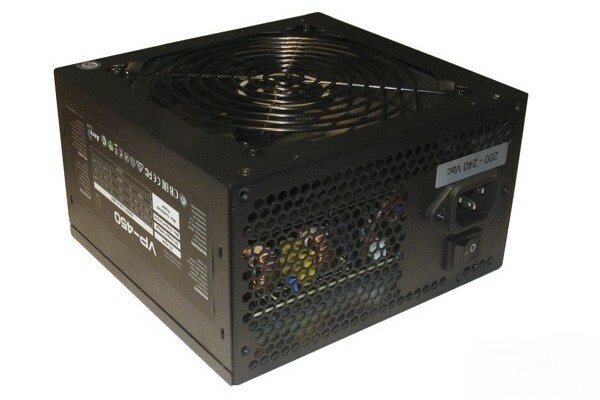 The company AeroCool updated its lineup of inexpensive power supplies of Value Series, presenting 11 models ranging from 350 to 750 watts, supporting certification 80 PLUS Bronze. 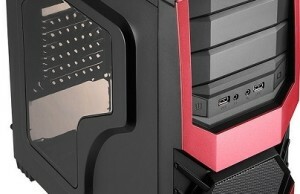 Considered PS AeroCool VP-450 passed all the tests, demonstrating the capabilities of the model for the assembly in PCs with a limited budget. 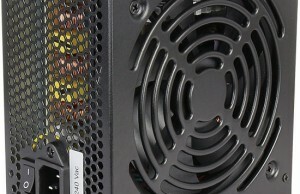 The main difference of AeroCool power supplies from major competitors is relatively low price at acceptable parameters. And on the manufacturer’s website, you can see both top models belonging to the series XPredator, and simpler devices having Value index. 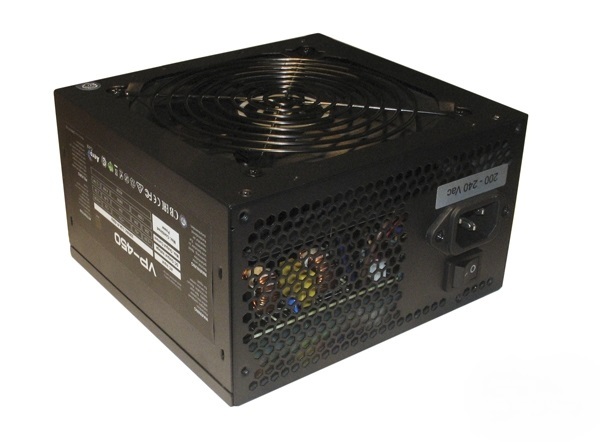 This family includes 11 models from 350 to 750 watts – they all meet the certification 80 PLUS Bronze, have the traditional cabling without modular inserts and are equipped with a universal power supply circuit. This time we decided to look at one of the junior modification with capacity of 450 watts – according to the manufacturer, it meets all current requirements for the power supply unit. If you look at the label with the basic characteristics, it can be seen that the AeroCool VP-450 is able to issue out to the surface 396 W on the bus +12 V and 130 W for the +5 V and +3.3 V lines, while the maximum total capacity amounts to 450 Wt. Externally, the device looks “at 100” – a solid body, covered with a black powder paint, a big fan with a separate plate and, of course, the traditional label, on which the user can not only see the main features of the unit, but also to get acquainted with the list of technologies used in its creation. Next to the connection of the power cable, PS has a switch that allows you to completely disconnect the computer if needed – which is sometimes very useful. 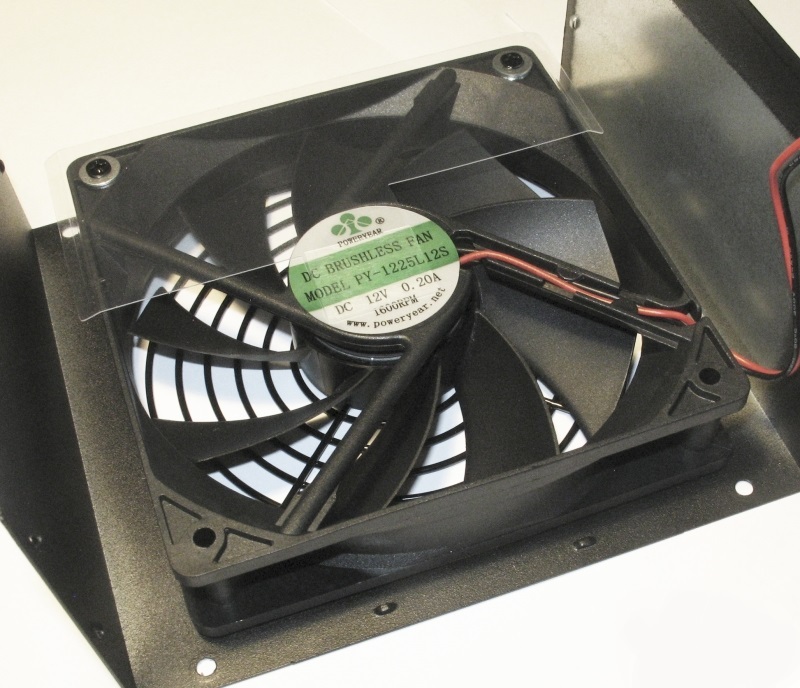 Theater begins with a hanger, and the dismantling of the power supply – with the cooling fan. In this case, it uses a fairly large specimen (measured impeller diameter is 112 mm), manufactured by PowerYear. The model is called PY-1225L12S, and the maximum speed (according to the specification) can be up to 1600 rev/min. An old-fashioned brass sleeve, which eventually will have to change the grease, is used as a sliding bearing. The basis of the power supply is a board of black PCB, made by Andyson. 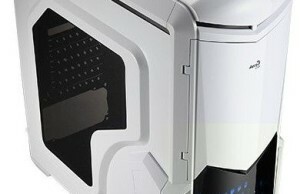 Developments of this manufacturer, are typically used in low-cost solutions, so we were not expecting for any frills. However, in this case, should be highlighted an active power factor corrector, which is needed to ensure compliance with the certification 80 PLUS Bronze. 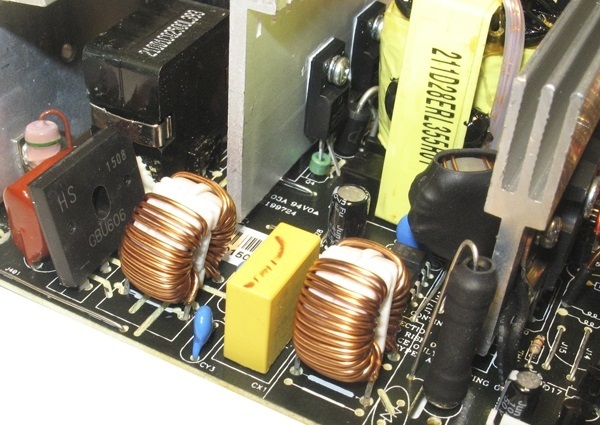 EMI suppression filter is soldered on the main board. It includes two full throttles (inductance of each of which is 30 microhenries) and one capacitor CX and two capacitors CY. Judging by the marking on the PCB, to protect against over-voltage a zener diode can be set here, but in this embodiment, the element is missing – why put all the details, if “he progress of the machine is not affected by this”. As the power rectifier is used diode assembly GBU606 – it is designed for currents up to 6 A, respectively, the power reserve is large enough.